FIRST: In what, surprisingly, counts as my first actual sale as a writer outside of self-publishing, my short story “Culaqan” is being published in December by the brand new literary anthology known as the 2014 World Unknown Review, edited by blogbuddy L.S. Engler. The story has been on the site for a bit, so some of you may have read it before, but I’ve pulled it until some time after the anthology comes out. If you’re interested, though, the very short stories “Crossroads” and “Confession” are set in the same universe. Sort of. I think. I’m super excited about this, and expect to hear more about it as more details about the anthology are released and we get closer to release date, which I believe will be sometime in December. Skylights will be, and I’m really interested in seeing how this goes, set-your-own pricing. Which means that you can have it for a penny if you want (and I think they’ll let you have it for free) or if you’ve been reading me for a long time and you have way more money than you know what to do with you can pay a thousand dollars for it. Consider it a Christmas present for your favorite blogger. Or just pay a penny. I’m good either way, so long as some more folks read the damn thing. Main thing? Amazon won’t let me make stuff free if I’m not a member of Kindle Select, which I’ve opted out of, so I’ve got to set it at $0.99. 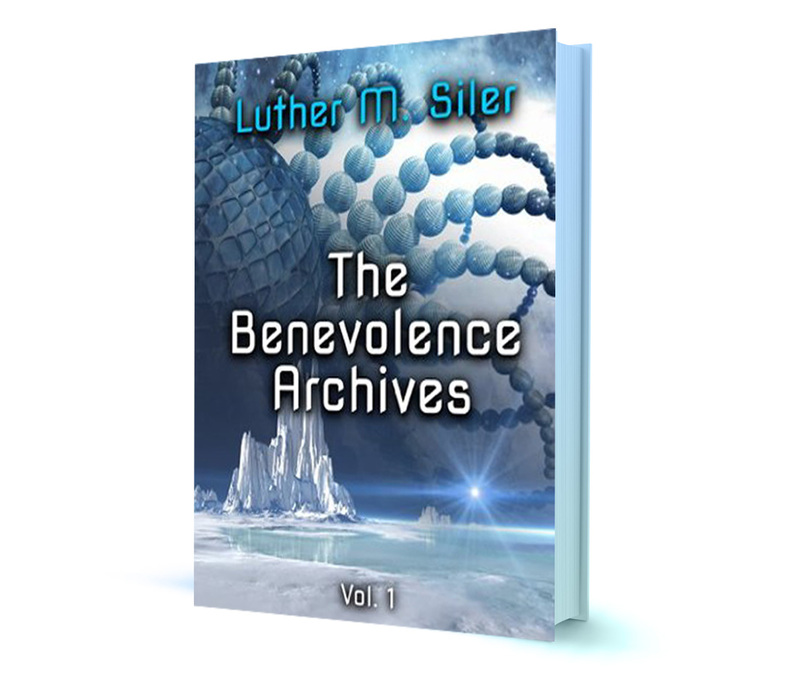 I’ve tried to price-match Benevolence Archives with Smashwords half a dozen times and it doesn’t work. Do keep in mind that you can get Kindle editions of everything through Smashwords, as well as versions for any other ebook reader, but you may have to do some sort of rigamarole to get your file onto your device since it won’t do it for you. Where should you get your books from? Wherever you want, although I’ll admit I’m really curious about what will happen with the choose-your-own-adventure pricing at Smashwords. Skylights hasn’t sold terribly well, even compared to the watermark Benevolence Archives has set, and it’ll be interesting to see what happens with it. Expect the volume of promotional stuff to increase a bit around here through the weekend, of course. I’ll try and find some other way to be entertaining along the way, though. Congratulations on selling your story and good luck w/ you Black Friday sales! Congratulations, man! Really enjoying Skylights, BTW. Review to come before too long here.